Canon has taken the main DSLR awards for the best products of the year as voted by the prestigious European Imaging and Sound Association. The EOS 7D Mark ll won 'European Prosumer DSLR Camera' while the EOS 5DS/5DS R won the award for 'European Professional DSLR Camera'. 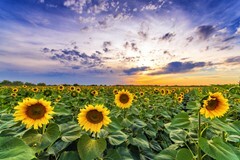 The company's EF 11-24mm F4L USM wide angle zoom also took the award for 'European Professional DSLR Lens'. The association is made up of the editors of major technical magazines from over 22 European countries, with the Photography Expert Group, that decides the camera and lens awards, including editors from 16 countries. Nikon won the award for the 'Consumer DSLR Camera' with the D5500, while Sigma's 150-600mm F5-6.3 DG OS HSM Sports lens was voted the best telephoto zoom, the Sigma 24mm F1.4 DG HSM Art was voted the lens of the year, and Tamron's SP 15-30mm F2.8 DI VC USD won the best DSLR zoom lens award. Other awards went to Sony's A7 ll and its FE 90mm F2.8 Macro G OSS, the Panasonic Lumix DMC-G7 for its video features, the Olympus OM-D E-M5 ll and the Olympus M.Zuiko Digital ED 40-150mm F2.8 Pro. 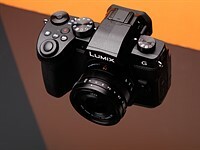 The compact cameras that the association picked out were the Leica Q and Sony's Cyber-Shot DSC-HX90, while Fuji's X-T10 and Fujinon XF 16-55mm F2.8 R LM WR were also singled out for praise. The innovation award went to DXO's ONE camera unit. 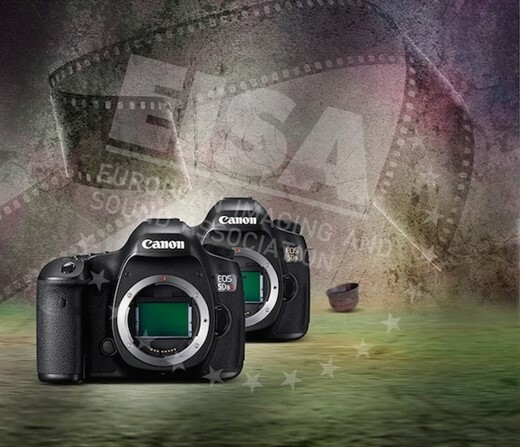 EISA chooses the products it awards from the pool of cameras and lenses its member magazines have tested, with the proviso that the products must have been launched within a particular 12 month period leading up to the awards. The awards are given on test results and the majority of members need to have published technical articles about awarded products. EISA was established in 1982 and its first award, the EISA Camera of the Year 1982-1983, went to the Minolta X700. 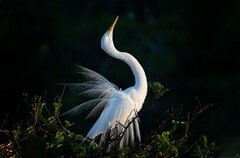 To find out more about the awarded products and why they were chosen visit the EISA Photography Awards website. If I was a Nikon user/lover I would make the below posts. It's funny, 80% responses are defensive of my gear and Canon users just don't comment. On the other hand Canon must do something to increase sensor quality otherwise Canun users will work hard to tell us DXO DR results are not important but also they know it is not true. DR is the most important criteria for image quality and Canon doesn't care about it. Why.. even they announce new model with very bad DR capacity but they are still selling too much?? Why they worry about it if Canon users close their eyes to that kind of test results? DXO says the DR of the new Canons is in the excellent category. DR is NOT the most important criteria for image quality...not even close to the most important. I am not agree with you. 5DS is the latest onewhich is still out of top 20. If you think this result is excellent? Not for me. there are still 2,5 EV DR difference between Nikon counter part model. what is DR? If you take a picture at dark you may understand what I mean. All other things can be recoverd by PS but there are no software make visible of details if there are no data on original file. What matters and it is critical is to have ENOUGH DR. For what the 5DS is designed for is likely so. Extra mileage as the D810 is great, but for some the extra resolution matters more. Let's not forget that pushing shadows 6 stops will give you a mediocre result no matter what, which in the realm of the 5DS intended use is not really contemplated (iso 3200-6400 not what you use this camera for). Congratulations to all the winners! Just one little niggle about the article: headline reads "Canon sweeps DSLR categories" But the D5500 (Nikon), won the consumer DSLR catagory. So, while Canon did very well this year, you can't call it a sweep. Two organizations that have no important role today , it had it years back, when people were referred to the photo magazines around the world, before the web. I agree. A completely pointless awards series, other than further inflating the self inflated manufacturers and fan-boys opinions on this site. I had a new manfrotto tripod that arrived blazoned with TIPA stickers that similarly served no purpose other than leaving a nasty sticky mark on the tripod leg after removal. And they do the in August already!? Still 4 months to go, who knows what will be announced / released these coming months.. This sounds like Kodak winning best Film Stock award just before their bankruptcy. With Firmware 1.4 Samsung NX1 outperforms 70D MkII in every way and is manufactured with fabrication techniques that are two generations ahead of Canon. How many professional DSLR's have been released this year? Nikon's last release was early 2014. (Unless you include the 810A astro camera). Grand prize to the only entrant! consider Products which have been "proposed" by the industry and presented to the EISA member at their meeting and which EISA charges for. 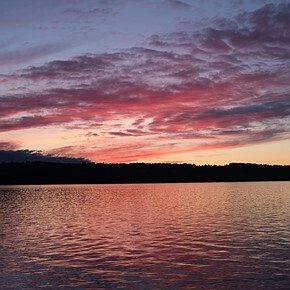 It is not just about dynamic range and high iso performance. 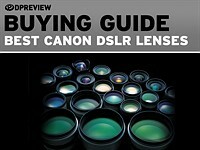 ok, what is the 5D particular better in then any other competitor? What goes for the "goose" does not necessarily work for the "gander". Regardless of what the results were there will always be others who hprefer one brand over the other simply because they"RW comfortable with it. This is if not the single most inherent feature which makes each of us UNIQUE. Let's just chalk this up for want it really is...an interesting review and read. If you prefer Canon hardware then kudos to you if you prefer another brand then still kudos to you. In the end it's how you feel about the tech you use that will determine the outcome of your pictures. That's just my 2 cents guys and girls. Its funny how everyone is talking Canon down nowadays but somehow they still sweep these awards with their old and unadvanced imaging processors and DSLR tech. And its the experts and pros who give these awards. Awards are like a$&who@&$ls everyone has one. These awards don't mean anything. Selling more cameras and lenses than anybody else means a lot. All the more so in a declining business. Well, in that case Canon wins also, because according to flickr.com they are on place 3 (behind Apple and Samsung phones) in the most used brands. So they sell the most used professional cameras. So does this mean DPR has a working Beta of the Pentax FF with the rumoured 42MP sensor from Sony? What makes you think this? If true Pentax is rumored to offer a 24MP and 42MP OVF cams. Pentax Forums has had several specifications "leaked", And the usual websites "the slightly more reliable rumour mills" have been saying this, 24MP hasn't been mentioned though only the 42 or the 36MP Sony Sensors. There's always rumours thats why i said rumoured "42MP sensor from Sony". It would make sense though for Pentax to use one of those two as everyone else already uses the 24 and many doubt Pentax will want to be playing catch up with a new camera. More like the every one wins an award club. They all take turns passing the trophys around from year to year. Let's not forget Leica cameras if you can afford them. Canon is the King of camera companies !!!! Pfff... What EISA know about dynamic range and ISO invariance? Probably... As in not surely... ;) So, don't bet on it. Anyway, I was just joking. love it high iso low light argument..
EISA is a joke and it's more of a popularity contest more than anything. At best, the gadget with most blings gets the prize. According to your name I can see why you think that. So you shoot Nikon, right? Millions of refugees in Syria, Libanon et cetera and we are ranting about Eisa, Canon's, Nikon's, Sony's and wotnots. Amongst other things, the awards are based on what European magazines have to say about a camera. They score a camera on different features. These features are given points, are weighed and added to give a total score. If a score doesn't suit your preferences: boo hoo. Questioning it is, well, let me use the word 'daft'. Of course companies can commercially benefit. Of course individual editors have their preferences. But, as the guys and gals at DPR, these people take pride in their jobs and want to do a good objective review. Besides that, any favoritism is iron out by the fact there are multiple editors contributing to the score, plus there are also some objective criteria. In the end you take what you think is important and give a camera your own score. These awards (and sites like DPR) make that possible. Besides that we are talking about such high quality of engineering, the question of 'better' becomes irrelevant. Pretty weird.. you start with that and then you "rant" as well about it.. so whilst there are terrible things happening in the world we can not discuss the more mundane at all? In 1974 Cyclone Tracy hit my hometown of Darwin.. terrible tradegy.. I hope you're parent's weren't discussing the price of tomatoes the next day!! It would be rely interesting to know how much money camera manufacturers must pay to use the EISA and TIPA Awards for advertising purposes. It would be interesting to see see if someone is not willing to pay the money ever get the prize. I can't speak for TIPA, but I do know that brands that don't take the option to pay to use the EISA award logo still get the award. The awards are decided and then the manufacturer approached. There is no obligation to buy the logo, and the product still gets publicity for having won the award. The money generated by manufacturers buying the logos pays for the association to exist. Members have to fly from all over Europe to get to two meetings per year, and there are staff to pay, so it isn't cheap to run. If manufacturers thought EISA and TIPA were a rip-off the organisations wouldn't be supported and wouldn't exist. I've never been a member of TIPA, but was on the Photo Panel of EISA for quite a few years. The process wasn't corrupt then, and I have no reason to believe it is now. corrupt is a strong word, and no one has used it. a business model is a better word for what it stand for. After awards have been announced, a reminder: planet is turning around the sun,not around DPR's forum gadget addicts. If I may ask,because of what? To clarify myself,I don't think it is turning around Eisa awards either. Your unsupported assertion self-evidently contradicted by everyone here. Could you need more proof? You're obviously from a nut house on day release. Tour de France is always won by a rider with best overall performance through all the etapes. While progress is expected and a necessary,the latest camera body technology only is not sufficient for good allaround work capability. On this forum,a person must be blind not to see a flood of religious commitment to technology progress only without any consideration for other elements making photography. 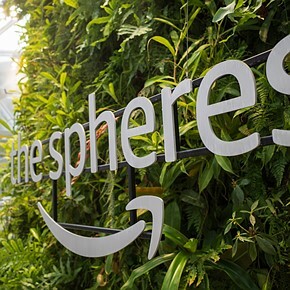 A brand bringing the latest iteration of tech sits on pedestal in all his glory while other brands are enemies and a doom forecast is wished outcome for them. A personification of blinded men mindset. To quote you: "Could you need more proof?" Hmmm, Sure, but nevertheless I can assure you that the sun is most assuredly circling Dpreview gear addicts, for sure. It doesn't matter who wins it's just more of those meaningless badges they put on camera boxes and in magazine adverts. It always seems to be the cameras that have sold the most that win. It doesn't matter what brand I intend to buy, the EISA awards have always been ignored and decent reviews consulted instead. The EISA awards are like the Brit awards of the camera world, just a load of overpaid bigwigs smoking cigars and slapping each other on the back. So the Nikon D810 has the reviewers afraid to put it up?? Stuff for a slow summer day. If it was their favorite brand, these awards would be very serious prestigious honors. In reality, they're more like the Good Housekeeping seal. You see them on booths at Photokina and for some reason on magazines in the UK. Now, if DPR were to review the replacement for the D810 or a A7R III and come up with a bronze award, that would be surprising and noteworthy. Interesting. No prize for samsung nx1. Perhaps they didn't know of its existence. It's not an important camera, just another Samsung down the pipes. Nicolaiecostel: yes, just better than any other apsc out there ;-) but you can continue to ignore it. Calm down and don't wet yourself Canon fanboys. These are given out every year and are only good in Europe. Oh, if you leave Europe they become invalid? Everything outside of Europe is invalid. You are evidently not reading your metrosexual, trendy-left Guardian.co.uk. Boy, now I can't wait to go to the camera shop and buy me a low dynamic range fantasy concept camera and an economical compact with speckled sensor. Man I love this! In reality, hats off to 7dII. Are there any European Camera Manufacturers??? Leica, Phase One, Hasselblad, Sinar. The really high end ones. I admire Leica Lenses. Guess it is better to buy Panasonic than the Hugh End (price) ones. Technically, yes, but not really. Not in any practical sense. That is, try to buy a Leica camera and keep your used car, or a PhaseOne and keep your house deposit intact, not that these are really that European, anyway. Camera technology is predominantly Japanese nowdays. The German spirit is exactly and largely that: a spirit. Congratulations to Canon who as usual have copped a lot of flak re the 5ds & sr being underwhelming from certain quarters. No one disputes the quality of Sony sensors & Nikon cameras. What fanboys need to realise we all have different needs & wants from camera gear & whilst their are offerings that appear fantastic to some they do not meet the needs or wants of others. I neither need nor want Sony or Nikon gear having chosen a Canon system years ago. There may however come a day when I do think I need to move on. I am interested in a compact mirror less system from Fuji or Olympus. Truly. Canon Architecture is Supreme. Sony will need to deal with developing what others copy, and one-better, IF they are to survive as the New Technology Leader. All I can tell you that here in the U.S. Nikon is the best selling DSLR cameras, pro and consumer. 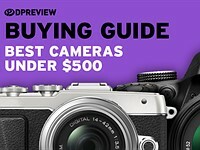 Nikon won the battle of reviews at least on DPreview and Camera reviews, which goes along with the sales in the U.S.
Do you have any facts to back up your claim? A link perhaps? I do not believe Nikon outsells Canon in the US. The 7DII is a great, great camera. DPR showed its "toys for boys" colourful candy bias when it scored the camera low. Next time how about throwing actual field photographers a bone when reviewing stuff, DPR? It has an outdated and outperformed sensor. The fact that it has won is due to the fact that Nikon did not put out a similar product. hey hey! but they did give a gold to a soon to be obsolete (if not already) camera the A7s. It does say Sony and not Canon on the logo though. this argument has beaten up to to death. The 7DII is primarily a sports camera as as such its sensor is just fine. There are no other cameras with the feature set and price point as the 7DII on the market yet. If Nikon resealed the exact same camera, you would be seeing many many Nikon users flocking to the stores. I'd buy one if it had a better sensor. It has almost everything going for it. Like I said, it's a camera for photographers, not sensor sniffers. 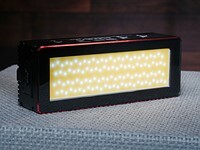 I would recommend it to people if it had a better sensor. What a load if nonsense! A sports camera where you often need to maintain action freezing shutter speeds with long lenses in poor light conditions doesn't need a good sensor? The opposite is clearly true. Saying the sensor doesn't matter just illustrates a clear bias. If Canon made the best sensors still you would be singing it from the rooftops. The 7DII just isn't the groundbreaking camera people make it out to be. 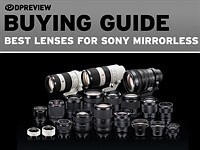 Even the focus tracking abilities which fanbois have been screaming will never be rivalled by mirrorless cameras has been well and truly rivalled by the Sony A6000, several independent comparisons have shown the tracking abilities of the A6000 to be very competitive and that's from a much cheaper camera. That much cheaper camera also has a much better sensor too. I wonder what people will say when the Sony A7000 comes out "focus tracking and sensor performance isn't important in a sports camera"?? I say all of this as a Canon owner. I simply cannot understand why people choose a brand and then defend it to the death, different brands have their strengths and weaknesses but you're really missing out if you treat a camwra brand like a religion. You wouldn't see a food lover who only ate bananas and insulted every other food so why do lovers of photography deprive themselves of all the excellent gear that's to be had? Canon 7d2 sensor on high ISO is comparable or better than SONY crop sensor. Only the Nikon 7100 which uses a Toshiba sensor matches. of course pushing shadows especially in a bright contrasty day. However sport images look fine if grainy, almost expected. 7DII allows pushing shadows, just not as well as the Sony sensor. Getting the shot is far more critical than anything else. And at that this camera is king second only to 1DX and 4Ds. you clearly are no sport photographer as you do not understand what a camera is expected to be like. The comment on image quality has been already addressed from others above. It also shows that you do not really know much about sensor performance, you just read around on line assuming a lot. I have both the 7DII and A6000 and the Sony is a long way from a pro sport camera. AF tracking and 12 fps do not make automatically a sport camera. I think it will take more iterations for Sony to catch up if even a competent A7000 will ever come out as Sony announced shift in focus to FF. The DXO that gives the A6000 1347 for ISO vs 1082 for 7dmkii? The Canon sensors are worse at most ISO settings, anything that's a midtone or lower looks noiser, uniform areas like skies are full of noise, The second you so much as adjust levels or curves the files become gritty and noisy. The noise is right there just under the surface even at base ISO so that enabling something as trivial as vignetting correction will result in gritty noisy corners. "However sport images look fine if grainy, almost expected." You could say that about most images but that's a matter of asphetics and personal taste not a defence of a cameras technical shortfalls. "It also shows that you do not really know much about sensor performance, you just read around on line assuming a lot." Yeah sure, nothing to do with using multiple systems for years and seeing exactly what kind of RAW files they give under identical situations and how those files respond to identical manipulation. "AF tracking and 12 fps do not make automatically a sport camera"
7dII is no more economical than the a77II. There are many reasons to pick 7dII over a77II, and they are all called Legacy Canon Lenses. There is no comparison between the bodies. The iso rating difference between A6000 and the 7DII is next to irrelevant. This is a classic discussion of number in absolute terms which might be relevant if the cameras are identical in every other regard. AF tracking and 12fps help for sure but do not make the camera a pro for sports, not even close. I repeat I have both the A6000 and the 7DII, I also owned every single variation of 1D Canon has made so far. And I use the cameras for sports, about 1/2M pics/year if that matters. A6000 or A77II for that matter are not a match, in terms of body performance and available optics. If you are a sport photographer you know, if you are not you should trust who is. End of it. 500,000 per year? I'm not sure how closely you could be scrutinising the finer details of sensor performance with 1300 photos a day to get through! Help me a little here. List the various camera manufacturers from whom has innovated most in the last five years and who has the most exciting products right now. Then I get some insight about your sense of reality. To create something as significant as they did with Canon 5D MII, if we take into account all that's happened in the camera world since then, Canon would need to shoot much higher to really deserve sweeping these awards, or it will transform into a brand of second grade sensors inside over-priced cameras bodies. If Sony's aggressive manners in sensor and camera R&D is the measure of who is more likely to last, Canon will be sweeping its own ashes in the foreseeable future. Nikon 7100 won in 2013, 7200 wasn't enough of an upgrade, though I think is still the best in it's category. Sony FE 90mm F2.8 Macro G OSS"
paid AWARDS - just for entertainment - without any substance. Both the 5DS and the 7DII are a substantial step forward, while the D810 and the D7200 are incremental. D7200 is not even in the same category as the 7DII, Nikon has not updated the D300s. The choice seems obvious to me. Other than more resolution of the 5DS, the Nkon D810 beats it most categories for DR, and color depth and sport low iso. Go to DXOmark and enter Nikon D810 vs Canon 5DS. Were there other things to consider in the European Awards then? The D810 is likely to be a more versatile camera, nobody argues that. But the 5Ds holds the innovative very high resolution sensor. D810 is a small iteration of the innovative D800E tech, while the 5DS is a bigger step forward and a bigger game changer. Clearly those giving out the awards neglected to read DPR's 7DII review that said how bad the 7DII's image quality is when those who don't know how to expose have to push their shadows up six stops. Maybe they instead just read the Nikon DPR interview in which Nikon admitted Nikon had nothing in the same category/class as Canon's 7DII. As a semipro body the 7DII is as a fact a superior camera than the D7200. And it is a true sport camera. For most this is far more critical than a marginal benefit in the shadow recovery and iso invariance. I would dearly love to see the highlights on a shot you claim is 6 stops underexposed when you shoot it with the "correct" exposure, that would make my day. The laws of light are meaningless when you know how to expose and know how to get the best out of your camera huh? If the Nikon D5500 won consumer DSLR, how did Canon "sweep" the DSLR categories. an instance of winning every event, award, or place in a contest. Yes, that is the North American English definition. In English the use of 'sweep' means an overwhelming success; 'swept the board' or 'clean sweep' means complete and total success. It's just one of those many and sometimes confusing differences between English, American English. Australian English and indeed several forms of Asian English. It's confusing since DPR is now published out of Seattle. 'Sweep' is indeed a synonym for 'clean sweep' to most Americans. These facts here make DPR appear biased to its "home crowd." In the States, sweep does indeed mean a clean sweep, as in "the (fill in name here) swept the World Series." I read the article's title, then saw Canon in fact won one only two out of three categories, and wondered what on earth DPR was thinking. The article's title comes across here as fanboy nonsense, and this from someone who doesn't use either brand. But they won't revise it, or even acknowledge the slant, if true to form. Type "Gravity sweeps Oscars" into google. You'll find a few headlines like that on American sites. I would not think anyone would have thought it won every single award that night. 3 of the top 4 major league professional team sports in America feature multiple best-of-seven series during the championship playoffs. To be called a 'sweep,' it must be a clean sweep. Loosing one game doesn't qualify. So while there may be some latitude in our minds when it entails, say, 8 of 10 Oscars, when there are four or fewer items it certainly means it's a *clean* sweep. Even here I'm being generous, because if you follow your own suggestion, the *very first result* is an article where the author changed the title from 'Sweeps' to 'Dominates,' simply because too many readers complained it wasn't a true sweep! The point of sweeping is to make clean. If the sweep is not a clean sweep, the meaning is lost and doesn't make any sense. 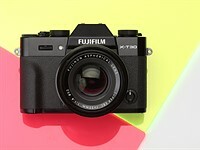 where is the Fuji X-T1 AWARD?????????? The EISA awards always seemed pointless to me: every year everybody is a winner. Feels more of a "popular product highlights" than "awards". it is easy, EISA is a commercial organization , they get paid from the manufacturers. Yamaha A-S1100 is EISA awardless, still... And that's the best amp in its category (spoiler alert). Do these awards even have any significant effect on sales numbers? I've yet to see this EISA award mentioned in any camera advertisement. Besides that, while we can probably assume these are 'bought' awards, I wouldn't say that any of thoses wards weren't deserved, even though my personal preferences would differ here and there. I am not a Canon hater at all, but I just do not like it when the facts and independent reviews show just the opposite, that Nikon beat out Canon in pro and consumer DSLR's. Looks to me like what ever EISA says, do the opposite. Not too long ago, Canon was the best DSLR but they have rested on their laurels and let Nikon come up and pass them. I think that as far as a pro camera, I would take a look at the new Sony A7 IIr although it is a ugly camera, but it does have some great tech in it. Actually, that's pretty reasonable. I have two Canon dslr bodies - the old EOS 40D and a 7D. The 40 was a complete disappointment, the 7D has it's moments. 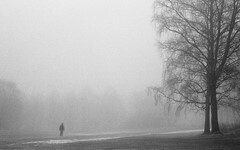 I come from the memory/experience of my old film SLRs. Even my old Pentax Spotmatic seemed to take better pictures than anything digital I've seen, even with a limited 'feature set'. Alas. No doubt they are now celebrating, and maybe having a "small" party. Quite an achievement to win both, the professional and the prosumer camera categories, as well as the professional lens category!! Let's hope that these awards will not make Canon overconfident and sleep longer on sensor development. Would be nice if Canon would surprise the world next year with a "pro image sensor of the year" award!! For Canon what they really should do is to switch to Sony sensors period. 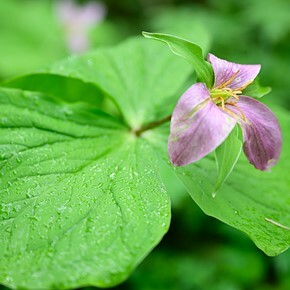 If Sony did not get into DSLR cameras, Canon would probably use Sony's sensors. But buying Sony's sensors would reveal Canon's future plans to Sony. It's dangerous to sleep with the enemy. True, but that could've been due to an older contract. Now that Sony is getting in the heavy weight 40 plus megapixel cameras, I'm not sure how long Nikon will continue with that, unless they have no other options. Certainly there is room for image sensor development by the big names in silicon fabrication who are not involved in camera manufacturing. Only in Europe, here in the U.S.A Nikon beats out Canon. I do not use a Nikon, I use a Panasonic Lumix, but if I were to buy a Pro or consumer DSLR, by all the reviews I read, it would be a Nikon. Canon has lagged behind in tech and only now are trying to catch up to Nikon. 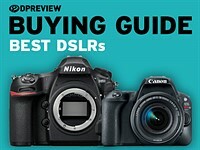 When Camera labs review of the Canon pro camera EOS 5 DS only got a recommended, not highly recommended that should tell you that Canon still suffers from soft pictures and very few inovations. they think they put a 51 MP sensor in the camera that it should be the best pro camera out there, but obviously it is not. I think these EISA awards are paid for by the manufactures, they do not show the facts when it comes to all the camera reviews by several sources. For the guys who actually measure sensor performance on top Nikon or Canon: DXOmarks rates D810 better in every category (DR, color, low iso) over 5DS except resolution. 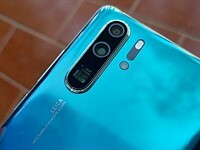 And about resolution, a lot of people think that 36MP are plenty enough megapixels even for cropping into an image, and requires upgrades in computer and storage to maintain workflow. 51 MP are for very large photo prints, landscape prints, or bill boards, large scale advertising, or extreme cropping I guess. Who exactly is the 51 MP made for? Or was that it? What other features of Canon 5DS exceed the D810 to win an award. There could be some new ones. The way I see it is that it has always been a tough race. One comes out with the best camera for a certain year, the other comes out with a lot better one the following year, and so on. Remember when Kodak came up with a 0.5 mp (500 kp) in the late 1990s? It made news back then. Competition is good for us, consumers. It's a bit naive to say "the best camera". 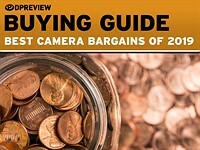 There are plenty of "best cameras". It depends on the category, the need, what it is used for, etc. A 50 megapixel camera aimed at landscape photography (and rated as the best for the category) would not be the best camera for a sports photographer. If you are absolutely happy with your camera, just call it the camera of the decade, and make it the no. 1 winner every year and forget the awards from EISA. I love competition. So I'm waiting to see the camera that'll beat the heck out of Sony's latest kid on the block, the R-II. Would it be the EOS 5D-IV? We'll have to wait & see. LOL at all of the folks who are having emotional meltdowns at their keyboards over these EISA awards. Way too funny! Just keep chanting that DSLRs, (and especially Canon DSLRs), are dead, and it'll happen, well maybe in another hundred years or so. Yep, keep chanting so that one day your great great grandchild will be able to show you their super tech replacement for all DSLRs, made of course, by Canon. Would you prefer sports? Can wins marginally with the 1DX+7DII combo. Lets not forget that 1DXII and 5DIV are imminent. Canon had 4 years product cycle in the pro/semipro segment, while Nikon does intermediate updates and we are comparing at the end of a long Canon cycle right now. Yeah because dual pixel phase detections is not innovation, nor is electronic first curtain. Lets not forget the lenses Canon keeps putting out. Samsung also innovates or are you going to say the first BSI APC with 4k and 15fps is not innovation. Sony of course but what does Nikon do beside stick a Sony sensor in their camera? Reader poll results: What would you want from Nikon and Canon full-frame mirrorless?